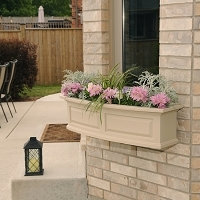 Window boxes are very well made; we offer window boxes in copper and fiberglass. The copper window boxes have a metal powder coated frame with a real copper finish planter box that will eventually patina to a very nice verdigris color as they age. 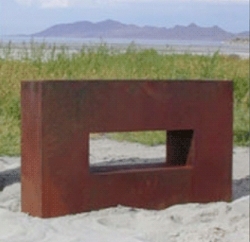 Our self watering fiberglass boxes are truly wonderful. We tested these on a breezy Miami Beach balcony with full sun. They herb garden we planted in the self watering boxes flourished and we only needed to fill the reservoir once per month.